People often and rightly ask – who are you SOUP people, are you part of the council, why are you doing this and a host of other very valid questions. So here’s where you can learn more about us. Who are the SOUP people? Downend SOUP is an outreach project from Christ Church Downend. It started when one of our congregation members went to work for Business in the Community in Swindon as a Business Connector – a special role of knitting together businesses and community needs together working on employment, enterprise and education. During that time Ian worked with businesses and community groups to set up Swindon SOUP. 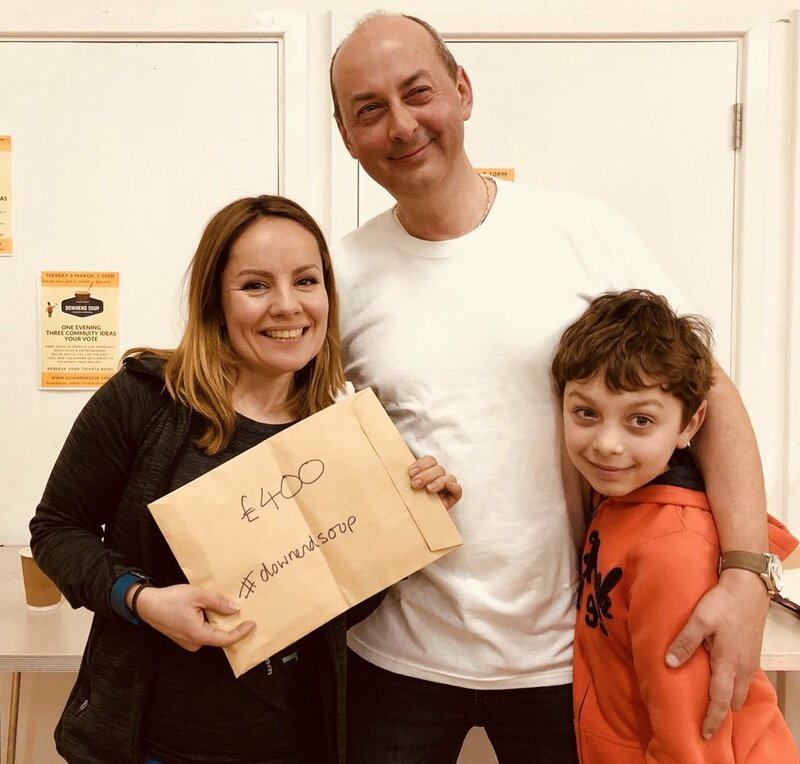 Ian then came back to Downend and felt Downend, whilst a lot smaller than most towns and cities in the UK that run SOUP events, had the right mix of community and local business to make this work. With the blessing and backing of the congregation and comms team from Christ Church Downend, this is how we started. Is SOUP part of the council? No and we wouldn’t expect it to be. SOUP is about members of our community taking action for the greater good. We do work with local councillors to help us connect with groups and issues on the ground that they see first hand but we don’t receive any funding from our local councils and don’t expect this to change. We have one financial philosophy – that every penny that comes through the door on the night of SOUP goes direct, that night, to the winning cause. Nothing is deducted. To make this happen our volunteers, our sponsoring businesses, Downend Round Table and Christ Church Downend help cover specific costs of our operation. Sometimes by buying us a one-off item like kettles to keep soup warm, sometimes by paying for leaflets to be printed. All support is given “in kind” not in cash and in this way everyone feels they have played a part in this wonderful initiative. So is SOUP a “churchy” thing? Downend SOUP undoubtedly is founded in different people’s faith that drives them to do things for others and a compassion and regard for fairness in life. Christ Church Downend has been the catalyst to get SOUP off the ground and as one of the largest churches in Downend this is one of the ways it can make a contribution to the community. SOUP itself is not a religious event – our common bond is regard we have for our community. Why Downend and not elsewhere? We’re wrestling with this right now. We’re called Downend SOUP because it gives us clear identity – our church is there, we’re supported by Round Table and a number of businesses in Downend. SOUP has always been about local action, things we can all relate to in our neighourhood, touch and influence. Reality is we pick up interest from Staple Hill, Mangotsfield, Emersons & Lyde Greens, Bromley Heath, Frenchay etc. we let you the community decide what feels local and try not to set a rule that would exclude a good idea. We are thrilled to learn that people who came to our first event have felt inspired to set up SOUP in South Bristol and another in BS30 Warmley area. A network of micro-soups across South Gloucestershire is a great asset to have. And if you want to learn about setting up SOUP we will help in the same way as neighbours in Reading, Swindon, Bristol and Torbay helped us.